@milliejae, I am happy to hear you've enjoyed the chorus groups you and your mother have joined in the past! What were some of the things about it you most enjoyed? 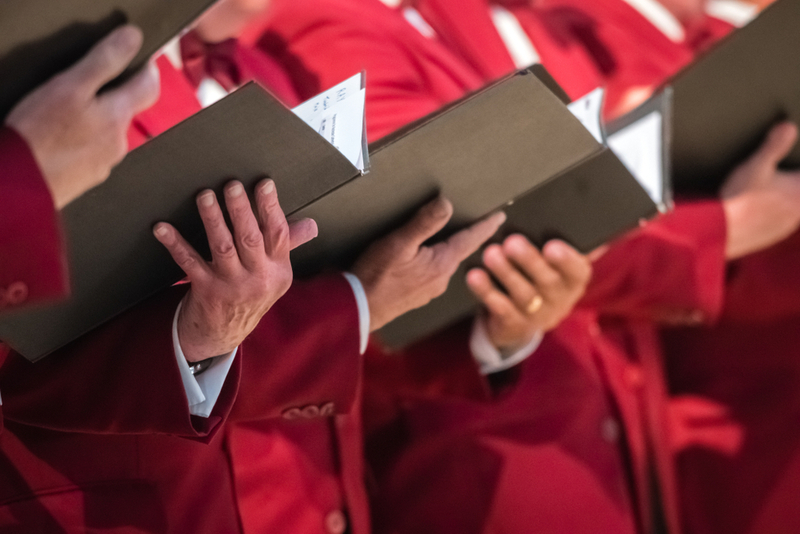 The Giving Voice Chorus, the group Minneapolis based chorus that inspired the Rochester Resounding Voices Chorus has a webpage that lists chorus groups by state (https://givingvoicechorus.org/join-a-chorus/). That is a good place to start. You could also ask your regional dementia support services, such as an Alzheimer's Association, if they know of any available chorus groups in your area. Happy singing! This concert took the audience on a musical journey around the United States. The chorus sang an enjoyable lineup of songs, including “America the Beautiful,” “California Dreamin,” and “Country Roads.” As a community and audience member, I couldn’t help but tap my foot along with the familiar music. As a neuropsychologist who has the honor of working clinically with men and women living with MCI and dementia, I couldn’t be prouder! Research shows that the brain benefits from the cognitive activity and exercise, social interaction, and sense of meaning and purpose that creative activities such as singing in a chorus provide. Specifically, we encourage those living with MCI to engage in mental activities that challenge you to think a little faster and that are new in some way. The challenging mental activity is one of the reasons why chorus groups are so beneficial. While most of the songs were familiar, they also added pieces to the music that were new that the chorus members had to learn – exercising their thinking! They included beautiful harmonies, new arrangements, and they even sang in rounds. Practicing the harmonies, for example, requires one to listen carefully, think quickly, think flexibly, anticipate what is coming next, and adjust as needed – that’s a lot of brain power and exercise! Creative activities that also include physical activity and/or social engagement are even better; kind of like a “two for one” deal! Social engagement is a key aspect of brain health and enhances our quality of life. Social engagement helps us feel connected with others, and when that engagement feels safe, we share our experiences, joy, and laughter which allows us to feel appreciated and valued. This sense of being appreciated and that we have value helps us to have a positive qualitative of life as it allows us to feel like we belong and can contribute to others and our community in a meaningful way. You can read more about meaning and purpose in Dr. Chandler’s recent blog post, Now What: The Importance of Having Meaning and Purpose as we Age. Finally, doesn’t it feel great to achieve a goal? While the purpose of the Resounding Voices is not musical perfection, it was clear that the chorus participants were proud with their concert and their accomplishment, which is important. Your creative activity does not need to take 10 weeks of preparation to still achieve and benefit from the feel good sense of accomplishment that comes after achieving a goal. Just pick a goal, work toward it, and enjoy that sense of accomplishment when it’s been achieved. My hope is that amazing groups like the Resounding Voices will become common as a way for people living with MCI or dementia to glean the many benefits of creative activities like music: mental exercise, social engagement, and meaning and purpose. So think about how you might spice up your holiday sing-alongs. Can you and a grandchild prepare a spin or new rendition to one of your favorites, like “Rudolf the Red Nosed Reindeer”? Maybe think about joining a group of friends for caroling and practice a new twist on a favorite classic. Have fun with it and challenge yourself! How do you like to stay mentally active? Any chorus members out there?